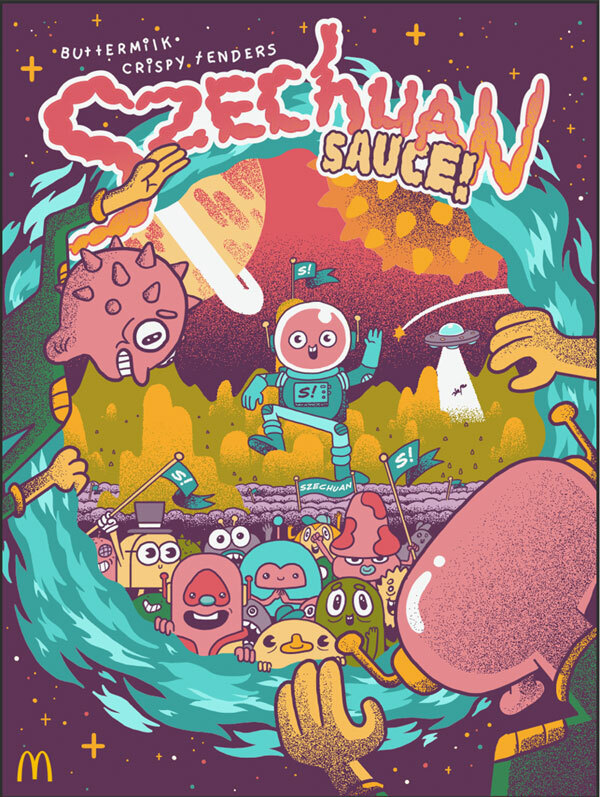 McDonald’s Szechuan sauce may be long forgotten by many folks, and others never noticed its brief existence in the first place, but among its fans, Szechuan sauce has taken on near-mythical status, stoked by the cartoon exploits of an ornery mad scientist. For the first time in 20 years, McDonald’s says it will bring back its Szechuan sauce in a “really, really” limited quantity. On Oct. 7, select McDonald’s restaurants will give away the sauce, along with limited-edition, hand numbered, screen-printed posters compensating all of the company’s sauces. The sauce and poster giveaway was apparently launched as part of the company’s introduction (again) of Buttermilk Crispy Tenders. You can see which McDonald’s locations near you will be serving up the sauce online. McDonald’s originally offered Szechuan sauce at restaurants in the late ‘90s as a promotion for the Disney movie Mulan. The path to the sauce’s (limited) return began earlier this year when the Adult Swim show Rick and Morty included a joke about the sauce. Soon after the episode’s April 1 premiere, fans on social media began calling for the sauce’s return, even starting online petitions to bring back the dip. In July, the fast food giant sent a jug of the sauce to Rick and Morty creators. The jug contained a nondescript label poking fun at the show.